Nutrition Hacks Organic Coconut Oil Review - Can Andrew Raposo's New Superfood Supplement Melt Away Fat? I read this article and found it very interesting, thought it might be something for you. The article is called Nutrition Hacks Organic Coconut Oil Review – Can Andrew Raposo’s New Superfood Supplement Melt Away Fat? and is located at https://trustworthyfitness.com/nutrition-hacks-organic-coconut-oil-review/. Nutrition Hacks Organic Coconut Oil Review – Can Andrew Raposo’s New Superfood Supplement Melt Away Fat? Here’s our Nutrition Hacks Organic Coconut Oil review. Do you struggle to reach your health or fitness goals? You’re not alone. But, when diet and exercise don’t help, there could be an underlying reason. You might need something to boost your overall health and jumpstart your fitness plans – such as a health supplement. Coconut oil is the primary ingredient in this new health supplement from Andrew Raposo’s new Nutrition Hacks company. If you’re tired of not getting results, this one supplement could hold the key to your success. 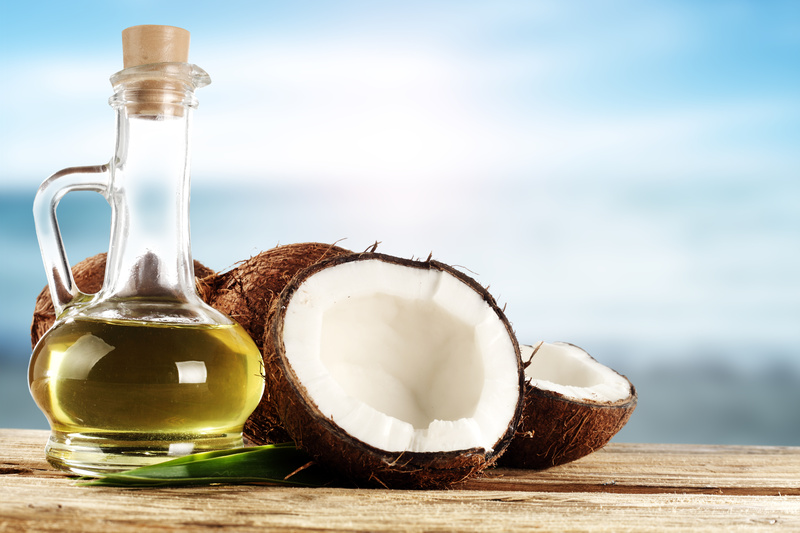 Learn more – check out our in-depth Nutrition Hacks Organic Coconut Oil review. What Is Nutrition Hacks Organic Coconut Oil? To put it simply, this is a health supplement containing pure coconut oil extract. It’s intended to help people deal with a wide variety of conditions. This includes everything from weight loss to heart health to the signs of aging. The benefits of this supplement are based on recent studies examining the effects of coconut oil. Researchers have found that the compounds contained in coconut oil can help lower your total body fat percentage while increasing your lean body mass. You might be able to start losing weight without starting a new diet or pushing yourself to your limits with daily exercise. The power of this supplement comes from the medium-chain fatty acids (MCFAs) found in the coconut oil. MCFAs are naturally occurring fats that are essential to your body’s ability to lose weight. But, it’s believed that the advantages of coconut oil can extend beyond weight loss. The idea that MCFAs can help boost lean body mass and burn extra calories isn’t new. That’s why MCFAs are commonly found in health supplements, including bodybuilding products. But Andrew Raposo, the creator behind Nutrition Hacks Organic Coconut Oil claim that there is a major difference between the MCFAs found in their coconut oil extract and the ingredients used in other products. The difference is that a lot of these other products use heavily-produced extracts. They use a chemical extraction process that degrades the quality of the compounds. Apparently, that’s why a lot of health supplements contain side effects such as nausea, irritability, and anxiety. That is not the case with Nutrition Hacks Organic Coconut Oil. They use 100% pure extra-virgin coconut oil. By taking this supplement daily, you might be able to correct fatty acid deficiencies. These deficiencies could be the reason that you’re having trouble losing weight or getting in better shape. Who Was this Health Supplement Created For? The primary reason that people purchase a product like this is to promote weight loss. It aids this process by helping to reduce dangerous pathogens in your body, while restoring proper gut health and boosting your metabolism. It naturally increases the number of calories that you burn throughout the day and helps promote proper digestion of sugars – so you pack on less fat. But, weight loss is only one area where this supplement may help. If you suffer from any major ailment, additional MCFAs could be beneficial to your health. This includes your heart health. People suffering from high blood pressure, bad cholesterol, or digestive issues, might benefit from the added nutrients, such as the MCFAs found in the extra-virgin coconut oil. As mentioned, coconut oil is believed to be useful for treating a diverse range of health conditions. So, it’s really for anyone that is interested in better health. Is It Safe to Take Nutrition Hacks Organic Coconut Oil? This is a completely natural health supplement. It doesn’t include a complicated blend of various ingredients that you’ve never heard of. Instead, you’re just getting organic coconut oil in a soft-gel capsule. The soft-gel capsule is comprised of gelatin, glycerin, and purified water. This simply acts as the delivery mechanism for getting the coconut oil into your system. Since you’re just consuming coconut oil extract, there is almost no risk of interaction with other supplements or medications. Though, if you currently have a prescription for a specific ailment, it’s always good to consult with your doctor. This is especially true after you start getting positive results. For example, if you currently take blood-pressure medication, if the coconut oil improves your overall blood pressure levels, your doctor may need to lower or adjust your dosage. That’s a good problem to have. The bottom line is that this is a completely natural, organic product. No chemical solvents or additives were used to process the coconut oil or from the capsules. Can Nutrition Hacks Organic Coconut Oil Improve Your Health? What you really want to know is whether this supplement really works. If you check out the official page, there is social proof from previous customers. But, the real proof comes from the research into MCFAs and coconut oil. And It’s not a myth that coconut oil is a superfood, full of beneficial fatty acids that can improve your digestion and promote weight loss. With that said, you won’t get results overnight. You can’t expect your health to take a turn for the better overnight. The manufacturer’s recommendation is to consume 2 capsules per day. You should take 1 soft-gel capsule in the morning and 1 in the evening. With daily use, your body will begin receiving the fatty acids that help to melt fat and curb your appetite. At the same time, the purified water contained in the soft-gels will help flush toxins and improve your gut health. The combination of these benefits, along with the delivery of beneficial fatty acids through your body, should begin to have a positive impact. So, whether you need a supplement to assist with weight loss or to deal with common health issues – coconut oil really can work. Though, the results of taking a supplement will always vary. The main advantage of this product is that it provides an uncomplicated way to increase your chances of reaching your fitness goals. It can help blast fat, making it easier to stay on track with your latest weight loss goals. Basically, you don’t need to worry about finding a new diet or starting a new workout routine to jumpstart your weight loss. Another benefit is the cost savings you get from purchasing multiple bottles. Each bottle contains 60 capsules, which is a 30-day supply. With a 6-bottle package, you can save $300 compared to the cost of individual bottles. You also get a bonus eBook with your purchase of the Nutrition Hacks Organic Coconut Oil. This eBook, Five Day Flat Belly Quick Fix, offers tips and tricks for targeting your belly fat. It even includes a section explaining how to use chocolate to melt away your fat. Satisfaction is also guaranteed. This means you really don’t have anything to lose. You can send back your empty bottle within 180 days for a full refund – no questions asked! We couldn’t really find any drawbacks to Nutrition Hacks Organic Coconut Oil. You’re getting pure extra-virgin coconut oil with no unnecessary ingredients. But, it is relatively expensive. A single bottle costs $69 for a 30-day supply. That’s a little over $2 per day. But, as mentioned, you can cut costs by purchasing multiple bottles. Can Andrew Raposo’s Nutrition Hacks Organic Coconut Oil be the solution you’ve been searching for? This depends on what you hope to get out of this supplement. And you need to keep in mind that this isn’t a cure-all pill and it doesn’t provide magical results. It is a health supplement containing a natural plant extract that is known to have a positive impact. Coconut oil has been used for various purposes, including medicinal, for centuries. It’s no surprise to see a supplement using this as its primary ingredient. There are two main ways that the compounds found in coconut oil can help improve your health and lose weight. First, it improves the way that you process food. It aids digestion and helps you store less fat. This can also lead to improved energy levels, better mood, and brain function. The second way this supplement helps your body is by flushing harmful toxins to improve your gut health. Again, you’re improving your digestive system, which boosts your metabolism and allows you to burn fat efficiently and effectively. In the end, it’s always your choice to try a new health product. But, there really aren’t any disadvantages that we could find. Nutrition Hacks Organic Coconut Oil is a straightforward product made with completely organic ingredients. And, with the money-back guarantee, you’ve got nothing to lose, except for body fat! Nutrition Hacks Greens Review – Can This Drink Give You More Energy Than 2 Cups of Coffee?